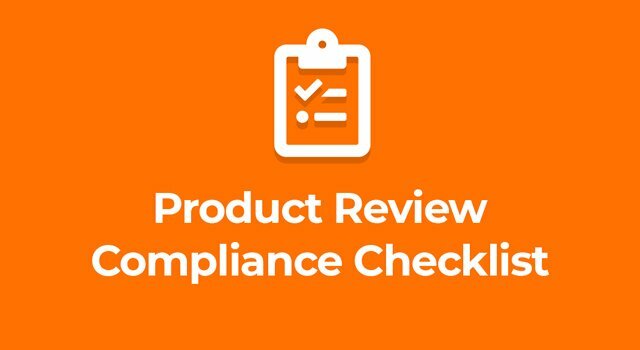 On October 3, 2016, Amazon.com, Inc. ("Amazon") quietly rolled out an update to its customer review policy. Incentivized reviews – reviews in exchange for free products – are no longer permitted on the Amazon marketplace. This policy change impacts the Amazon Vine program, as well. The reason behind these changes is straightforward: to provide an impartial and honest review system that enhances customer experience. When a review is written in exchange for a discounted or a free product, there is an inherent bias toward a high star rating. Companies once were able to select their own reviewers, which opened the door to potentially finding those who were less critical than their counterparts as well as known brand loyalists. Earlier in 2016, a study of over 7 million Amazon reviews found that star ratings from incentivized reviewers exhibited significantly higher scores than those who weren’t compensated. These reviewers were also far less likely to have written a critical review or rate a product with one star. The Amazon Vine program is a great tool for building awareness of new and little-known products. A vendor selects an assortment of product ASINs with the goal of seeding reviews and ratings. Limited quantities of these ASINs are submitted to the Vine program in the Vendor Central platform. Once approved, Amazon has a pool of trusted reviewers who are made aware of these products. If interested, they can elect to receive the free product so that they might write a review on their own accord. Vine reviewers are still asked to write a review in exchange for receiving free products in order to remain in the program. Amazon’s perspective is that honest reviewers do what they do because they love it, not necessarily for the free product, though that certainly is a perk. If Amazon finds a Vine member is abusing the program by not writing any reviews while receiving several free items, that person will be removed from the program. Writers and publishers can take a deep breath. The practice of sending advanced copies of books in exchange for reviews is still acceptable; it has been practiced by the publishing industry for several decades. Following industry standards, reviewers must disclose that they received the book in exchange for the review in its introduction. Sometimes people have bad days and might voice an unnecessary negative comment about a product out of frustration. Then there’s the rare slander campaign intended to discredit a brand across several product pages. Amazon is aware of these scenarios and paying attention. They will remove any reviews determined to be legitimate attempts to tarnish a product or brand’s reputation and skew sales performance. As an added precaution, customers, sellers and vendors all have the ability to flag a review for abuse so that Amazon can quickly address the matter. Overall, this policy change is welcome news. Vendors and sellers can feel confident that the customer feedback is honest and even helpful when studying an ASIN’s sales performance. Meanwhile, customers can feel assured that they are reading valuable information from other customers when deciding to make their purchases.